We loved having our french doors open to the most stunning view! 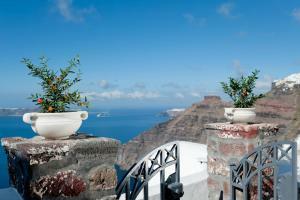 The location was perfect, within quaint, quiet Firostefani, walking distance to Fira. The rooftop deck was a bonus for the daily sunset wine hour with our group of friends. The magnificent view. The staff were very helpful & obliging. The view was indeed the best! Plenty of chairs to enjoy the view- especially the sunset!, and a lot of beach beds to tan. The room was spacious, clean and well ventilated. The staff are very friendly and helpful. Although some people have complained about breakfast, for us, was good! The yogurt with fruits was delicious, fresh orange juice, bread, omelette... the essential food to start the day. If something could be added to the breakfast is some proteins. We regret not staying more days. 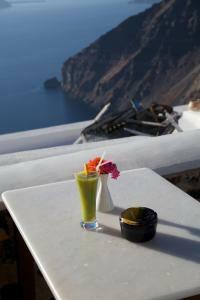 The location was excellent, views were exceptional and the staff was fantastic! Although we rented an apartment with a kitchenette it was totally inadequately stocked with kitchen essentials including pots and pans. However it’s does not affect our score since going out to eat was part of the experience and breakfast was included. Staff are great! They helped with anything we asked them. Lock in a great price for Vallas Apartments & Villas – rated 8.4 by recent guests! One of our best sellers in Firostefani! 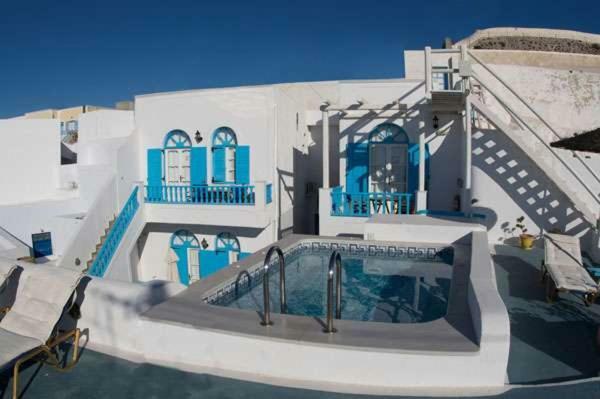 Vallas Apartments are located in Firostefani, only a few steps from Fira, and a short drive from the port and the airport. 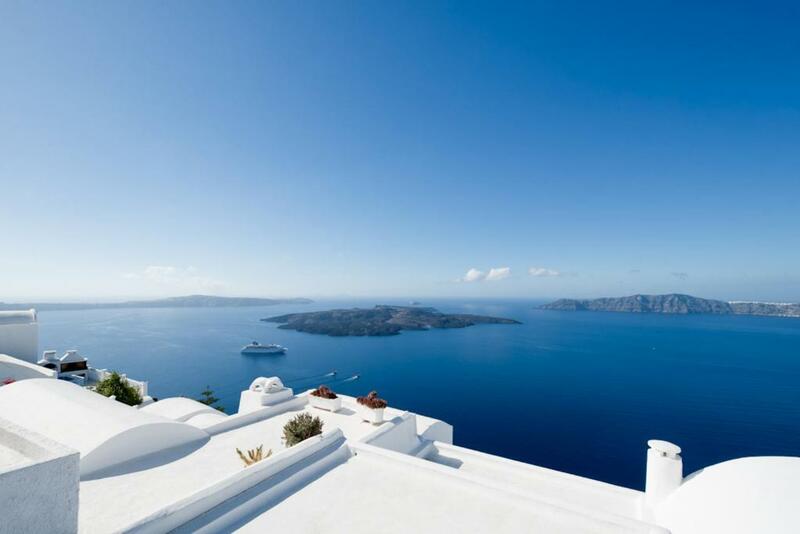 They feature tastefully decorated accommodations, some with Aegean Sea views. All apartments, suites, houses and villas are well appointed and come with air conditioning, wireless internet access, TV, and kitchenettes. Some of the apartments offer great views of the volcano and the caldera. Vallas Apartments offer guests a host of facilities such as, an all-day snack bar. Travel, ticketing and car rental services are all offered to guests. When would you like to stay at Vallas Apartments & Villas? Air-conditioned apartment with a private entrance, sofa and LCD TV. Features a separate bedroom and kitchenette with a fridge, electric kettle and coffee maker. Also includes a balcony with views of the grounds. Offering a private pool, this exclusive open-plan villa comes with a 62-square-yard veranda and a spacious, indoor hot tub. It features total privacy, combined with the best view on the cliff. -Writing desk with Apple Mackintosh PC, internet access, fax machine and wireless telephone. 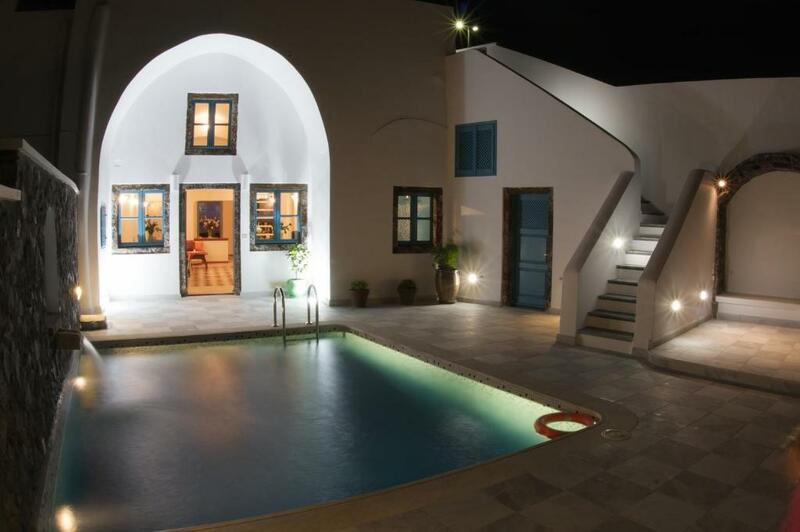 Fitted with an outdoor jetted tub, this exclusive, open-plan villa opens to a veranda. It offers total privacy, combined with the best view on the cliff. This holiday home has a balcony, air conditioning and private entrance. This suite features a balcony, air conditioning and electric kettle. It provides access to a shared, outdoor jetted tub. This suite has a balcony, private entrance and air conditioning. It provides access to a shared, outdoor jetted tub. House Rules Vallas Apartments & Villas takes special requests – add in the next step! All older children or adults are charged 20 % of the room stay per night per person in a crib. Vallas Apartments &amp; Villas accepts these cards and reserves the right to temporarily hold an amount prior to arrival. Vallas Apartments & Villas accepts these cards and reserves the right to temporarily hold an amount prior to arrival. Please inform Vallas Apartments & Villas of your expected arrival time in advance. You can use the Special Requests box when booking, or contact the property directly using the contact details in your confirmation. False information about hot tub which was so cold. cheap looking toilet and poor breakfast. You have to pay for any extra little thing at breakfast like a slice of onion! You will not get tissues in the room even if you ask for it. The bed was far too hard for our taste. The kitchen draw was not useable as it hit the door frame. The location was excellent and staff very friendly. Loved everything......and Alexander was Fantastic !!!! Everything was just perfect !!!! Above and beyond what I excepted !!! The place, the view, the location, the staff, the food.....We will be back !!!! The information about the rooms doesn’t correspond to reality, the hotel hides the important details! In the hotel’s description there is panoramic terrace with pool and caldera view, but the cheapest room Sunrise is situated in a separate building, so you have to walk down the street for reach the pool – we have found out this detail ourselves and therefore booked a more expensive room (with Garden view). There was no any garden view, only a view to the shared patio from where we entered to the room, and there wasn't neither a balcony indicated in the room’s description. But the worst thing is that we have seen a beautiful new bathroom in all the photos of Garden view room (as on booking.com so on the hotel’s website) and in fact there was only microscopic shower with an old curtain. For 180 euros this is unacceptable! The receptionist’s answer was that we have booked only the type of room and in the photo was shown only one of these Garden view rooms. He couldn’t give us another room cause all rooms of this type were already occupied. There was no neither apologize! Our request of free transfer as a compensation was also refused. The only proposal was a Suite room with an extra pay of 50 EU - refused by us. Our call to booking.com also didn’t help: the hotel has told them the same tale about type of room. Finally we have promised to write a bad review and then we have quarrelled between us in the room. And suddenly the receptionist has realized that he didn’t earn 50 EU, but has destroyed our stay in his hotel and decided to give us that Suite room without extra charge! This situation describes Vallas hotel! I would like only to add that even the breakfast doesn’t correspond to the price of the hotel. It was portioned, rather poor and too sweet. We could choose only one thing between yogurt with fresh fruit and omelette (which they call “egg”), one drink tea or coffee. There were also a glass of fresh orange juice, a slice of cake, bread and butter. About Junior Suite room – it was comfortable and spacious, but I can’t call it Suite. It was dark and one of the four lights was also burned out (and not changed in time), the cleaning was average and there was unpleasant smell in the room. The shower was strange again: only pan and nothing more, neither shower cabin and nor curtain, the bathroom was always flooded after taking a shower. There wasn’t window in the room, only a glass door, but we couldn’t open the curtains cause the door faced the terrace shared with Superior Suite room. These two rooms have also upper terrace with a small jacuzzi, 2 sunbeds and a table with 3 chairs – it is for 2 rooms with the total capacity of max 2+4 people! We were lucky that nobody was in the second room, otherwise we had to “fight” for the use of the jacuzzi. And also for the clothes horse which was only near Superior Suite door. 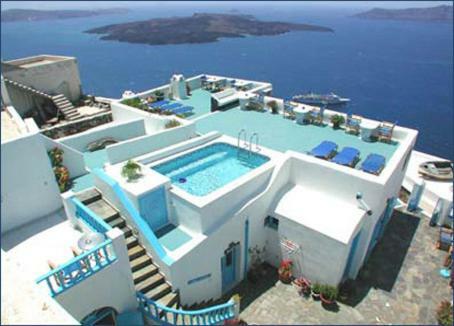 For two people jacuzzi was a fantastic experience, with the view of the sea, caldera and the neighboring town of Imerovigli. The only problem was a touristic street right above the terrace, so again no privacy. I advice you to stay in Vallas only for the budget caldera view from the pool terrace, but don’t wait a good service and good room. Here you pay only for the location! I was expecting a private balcony but it was one for 3 bedroom. Not a big deal though. Still a great place. The location is great. It has a great view and it is near everything but it is not in the crowed area. The staff was very nice and the room was very spacious and clean. My only complaint and really no big deal was the breakfast was a bit average. Most magnificent views possible for a really reasonable price. Had a beautiful sunset room with balcony. Vallas host Alex just wonderful and so obliging with absolutely everything. Would definitely stay again. 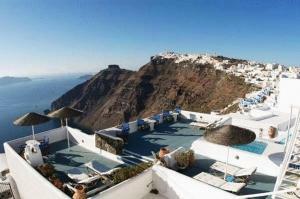 Amazing views over the caldera! Great location! Pictures were deceptive, we expected access to a pool but only got the rooftop small spa, our vila was away from the others and had a road/ car park obstructing the view. Our room looked nothing like the pictures, more of a large motel room.